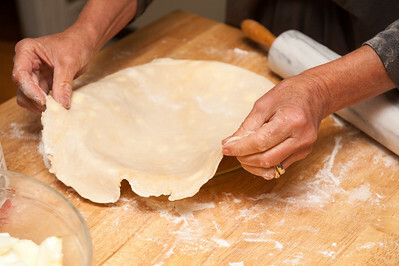 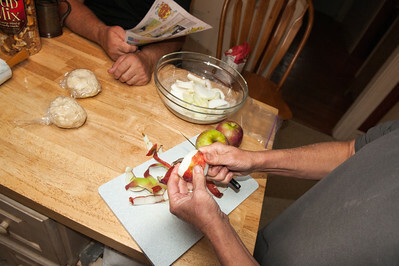 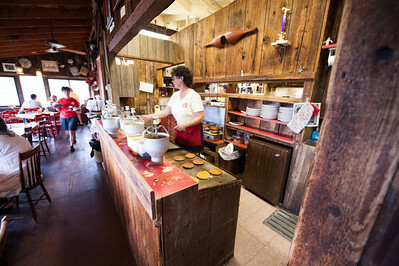 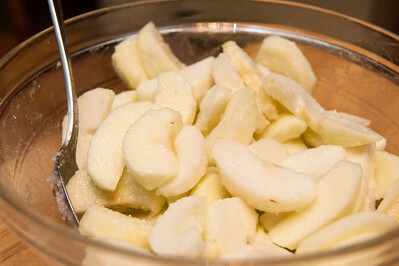 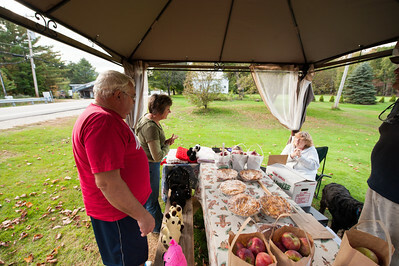 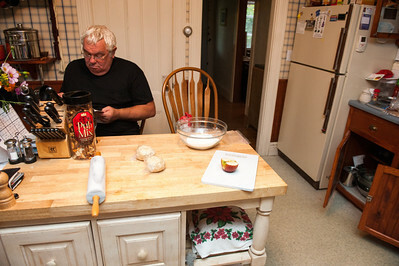 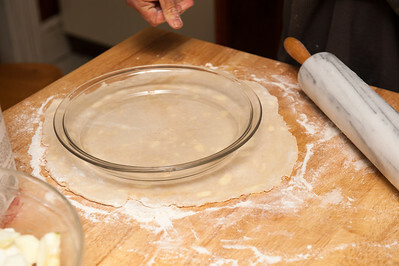 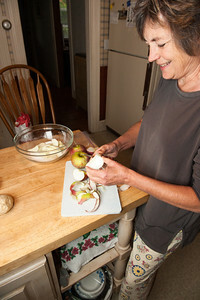 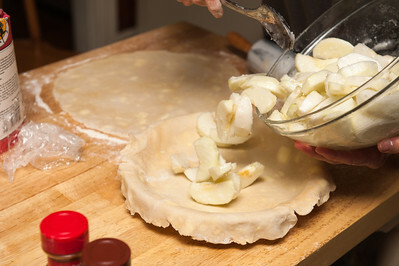 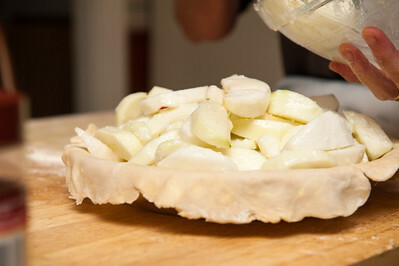 Mom and Dad visited us in late summer, 2011, and taught us how to make apple pie! 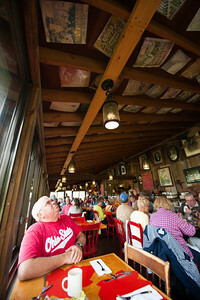 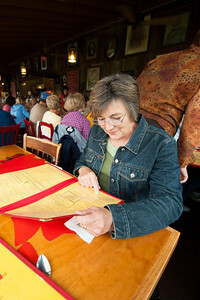 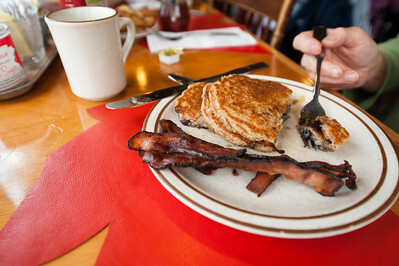 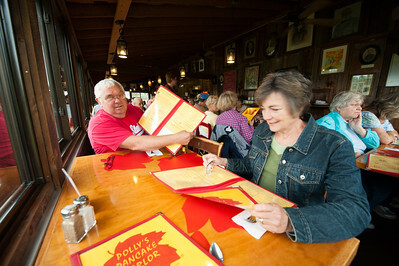 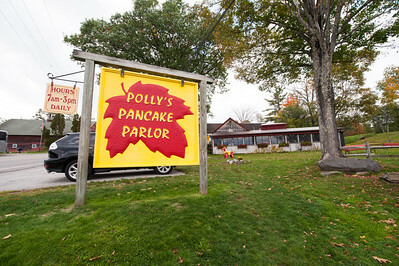 No foliage tour of New Hampshire is complete without a trip to Polly's in the aptly named Sugar Hill. 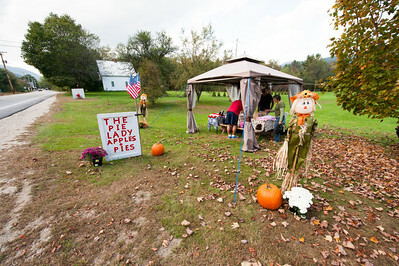 This was taken on September 30. 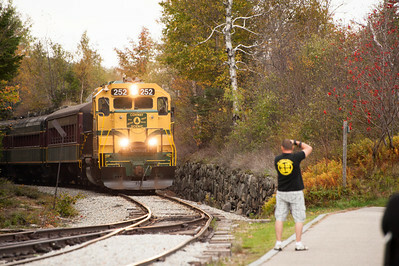 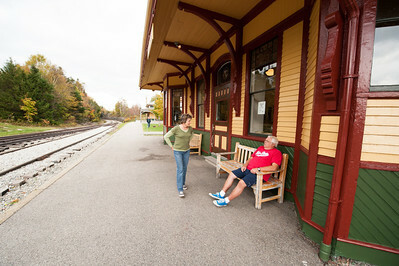 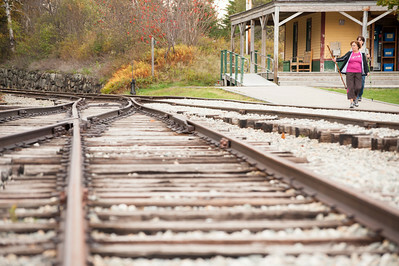 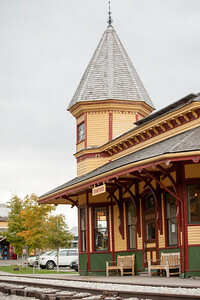 Exploring the line used by the Conway Scenic Railroad. 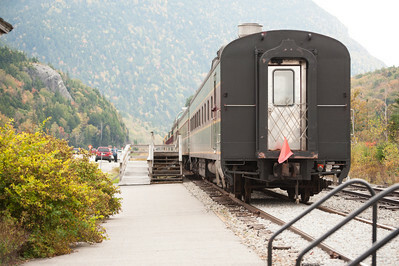 This is the Crawford Depot in Carroll, right off U.S. 302. 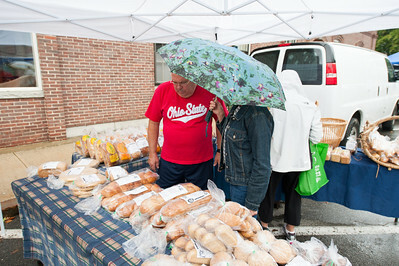 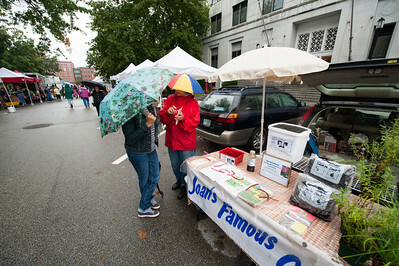 October 1, at the Concord Farmer's Market. 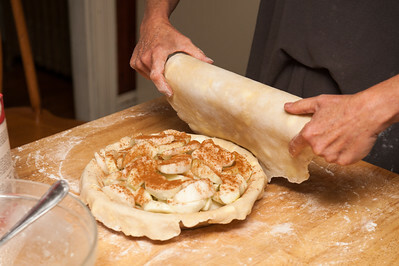 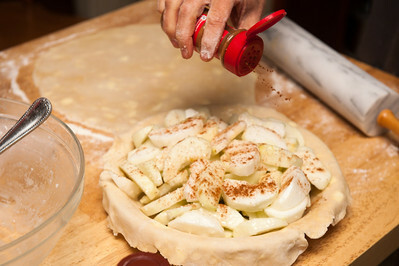 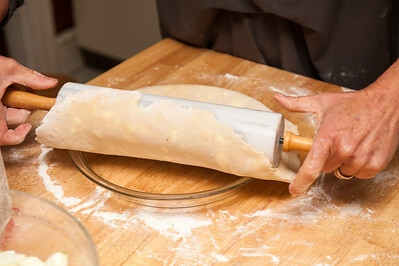 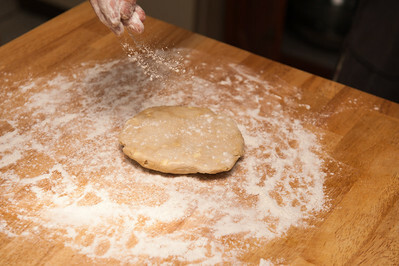 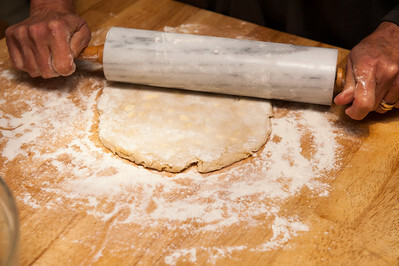 October 2, the morning after the potluck, time to make pie.